Carlos collaborated in the purchase of the villa of the street Torre Vélez of the Catalan Federation, old house where there was been living our friend and Pigeon Mr. Sastre, and whose purchase was initiative of Luis Fernandez, at that time President of the Catalan Federation and that did not stop until it obtained his objective. To leave a quarter rented in a floor in the street Fernando to an own Federal Seat. Later he collaborated in the purchase of a new truck and in the end in the acquisition of the important premises in the Passage of the Taulat of Barcelona, and that with a surface constructed of more of 700m2, is the present seat of Catalan Federation. Whenever he has requested himself to him, Carlos has given doves to auction them to benefit of Clubs and Federations, not only in Catalonia, but in all Spain. 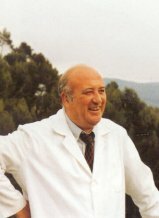 Promoter of the release of Lisbon, that as much prestige and successes he has given colombofilia Catalan, taking it to the highest of the Federation, winning 6 consecutive championships of Spain, at national level. Also in year 2001 the Catalan Criterium of Great Bottom has esponsorizado, with releases from Lisbon and Melilla (coast of Africa, flight on the sea). One of its more important initiatives, than has impelled and developed they are " the Derbys ", also denominated " Colombódromos ". Pigeon created and organized with the Catalan Federation " the Derby de Alta Mountain " in its property, where all the colombófilos were invited to wait for the arrival of the doves with a splendid food and drink without limit. It was a great success to make it agree with the Loose International of Barcelona, organized by the Curegem Centre and that made travel to Barcelona to very many colombófilos of all Spain and the foreigner. 1º the new National Championships. Today all Spanish pigeon, aspires to proclaim Champion of Spain or to gain the beloved Glass of His Majesty the King of Spain, that gives to the winners the opportunity to participate in the World Championships organized by the Federation Pigeon the International. 2º the National Days where one takes place the National distributions of prizes of the Exhibitions and Aids and Glass of His Majesty the King, whom as much success they have had. 3º Modernizó the structure of the Spanish Federation, structuring it in 15 Autonomic Federations and 2 Delegations in agreement with the Effective Legislation. It has visited all the Autonomic Federations, mainly the one of the Canary Islands. To not only represent 50% of colombofilia Spanish, but because he unites a sentimental loop to him with the Islands, because its Father in Telde (Great Canary). He has obtained several championships of the World of Colombofilia (F.C.I. ), of innumerable Europe and Latin America and first prizes in denominated International aids of the Colombódromos. Carlos has obtained that Spain is recognized like a power in the world pigeon. It is respected to him and it admired and our doves are looked for by many Colombófilos of all the places of the World. In 1991 the Association was constituted Ibero-Latin-American, who was presided over by the friend Jose Mª Corona. Spain in the 1993 organized the Olympic Games Pigeon the International, in the Palms of Great Canary and the first Championship of the World of history, with release from Tam-Tam (Africa) to the Palms. In 1994 it was celebrated the National Exhibition and 2ª Ibero-Latin-American, thus how his Congress. 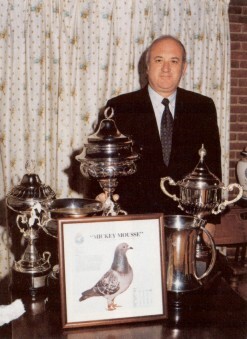 The organization was the responsibility of the Catalan Federation Pigeon, presided over by Luis Fernandez of the Retana and the Club Pigeon of Mataró. It was a great success of organization and affluence of colombófilos, not only Spanish, but great amount of South Americans and other European countries. At that moment the Catalan Federation, we create, arrived at the highest point from its Foundation. In 1991 an impossible goal, the international presidency seted out. At that moment only there was Portugal and Mexico how Latin countries, and Carlos was a stranger, at international level and in addition the other candidate was conocidísimo Belgian pigeon Professor De Paduwa. Nobody will know, we think that nor the same one, since it did it. His friend Joseph Scheemaecker (of the Natural company) when arriving at Verona, city of the selections, only said " to him you have three votes, nobody knows you, you are cowboy that arrives here and the only thing that takes are two pistols, thus does not gain the presidency ", but Carlos took an Ace hidden in the sleeve and that was not other that fabulous stand sponsored by the Government of the Canary Islands, of which then the Don pigeon was president Lorenzo Olarte, in that appeared the Spanish Olympic Games in the Canary Islands and to which personally attended canary President Olarte and other colombófilos. In addition to its daughter Irene and his daughter-in-law French Ana who spoke English and respectively with monumental dosieres in which everything was explained what Carlos wanted to do. Taken hold the Delegates one by one, with his habitual machaconería, he obtained the impossible thing and before the surprise and the astonishment of all the scrutiny he gave a tie. The scrutiny returns to repeat itself and returns to give a tie. Before it is unusual nonpredicted situation in the statutes, the Congress decides to both divide years of mandate between both, and of this form Of Paduwa he was President in 1991, and Carlos in the 1992.